There are not many things in this world that are better than the smell of freshly cooked bread. Especially when it is bursting with garlic and rosemary. My kitchen smelled amazing when this was cooking. We don’t eat a lot of bread, especially white bread, in our house, but when we do it is always homemade. That way we can control exactly what goes in to it (no weird ingredients) and we can make it the exact size we need, so there is not loads leftover. We just end up eating bread for the sake of it otherwise. I ate a lot of bread when I was in Italy a few months ago (I still have that post to share with you, along with many other travel posts), as it was just so fresh and I just couldn’t resist it, and this recipe is inspired by that. 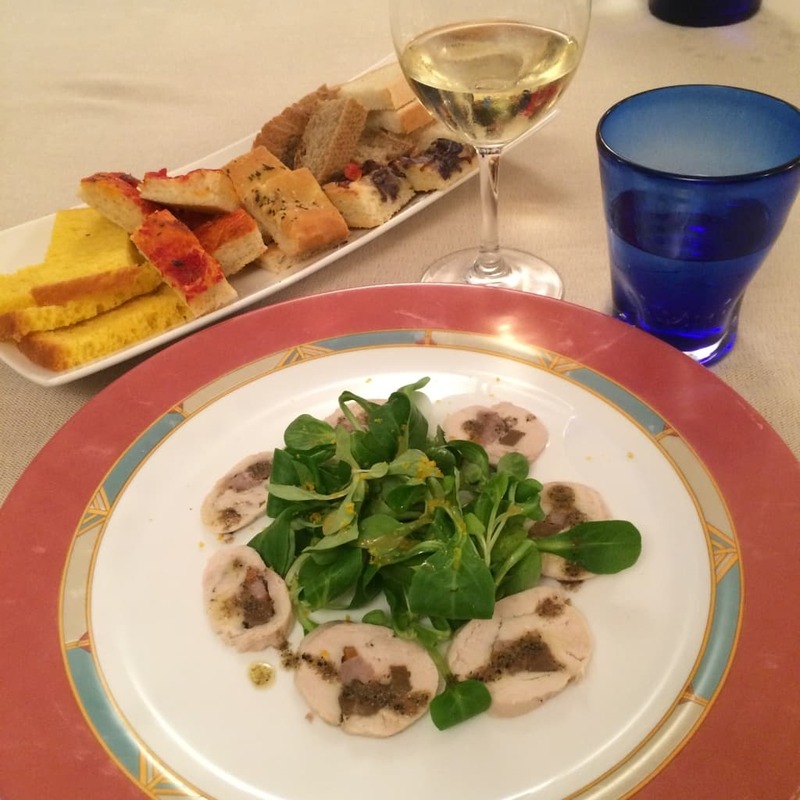 The thing that I noticed about the food in Italy, was how simple it was and how here in the UK we really over complicate Italian food, by adding way too many different flavours in one dish. Since I have returned from Italy, my Italian cooking has been simplified and my taste buds are much happier because of it. In Sicily, they keep their bread and pizza very simple sometimes they don’t even use cheese. 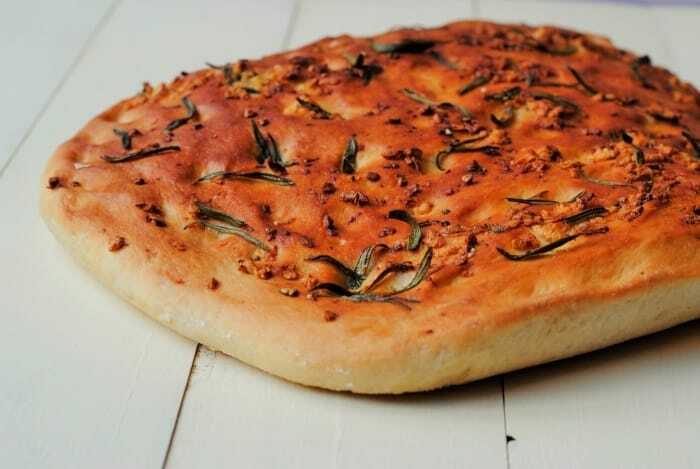 They keep the crusts really thick, and herbs are a dominant flavour, which is why focaccia is a popular bread in Sicily. 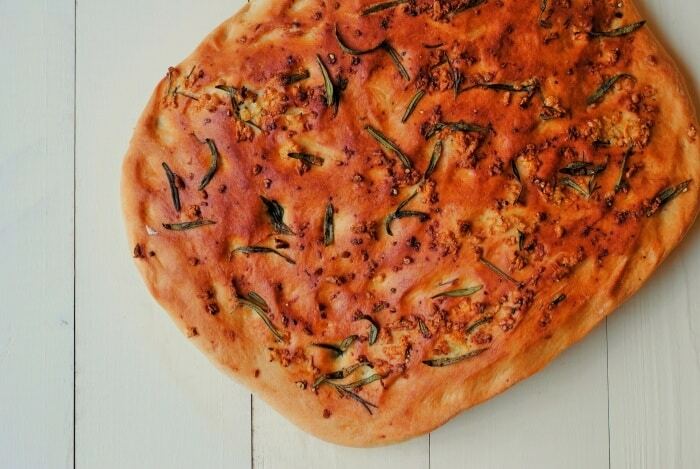 Just the simple flavours of garlic and rosemary really bring this bread to life, without making it overly complicated. I guess that sums up Italy for me really. 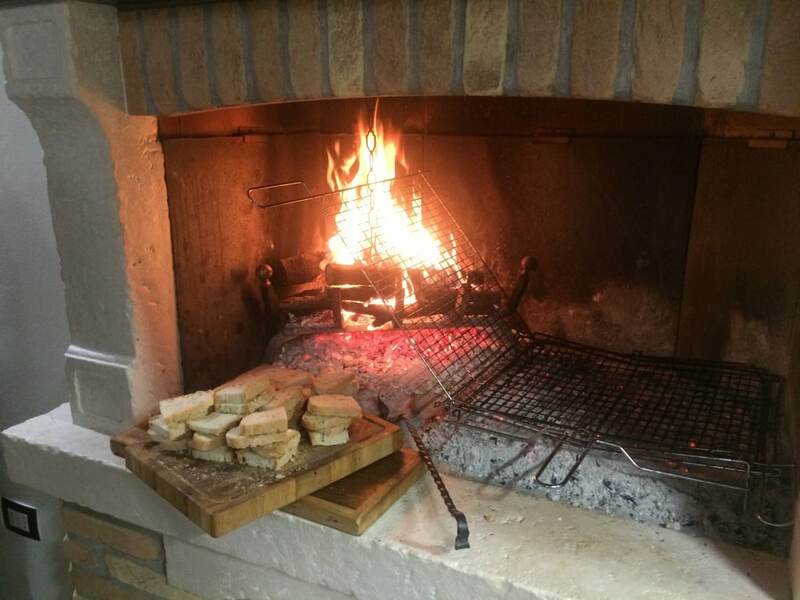 Here is some of the delicious bread that I ate when I was in Italy – the focaccia was just brushed with tomato and sometimes they just toasted the bread on an open fire, with no other flavours. 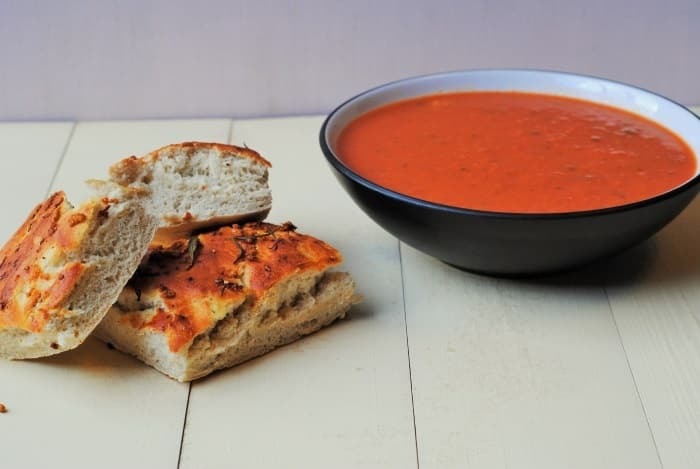 This Sicilian inspired bread goes perfectly with Glorious’ Sicilian Tomato and Balsamic Soup, because soup and bread are just a match made in heaven. 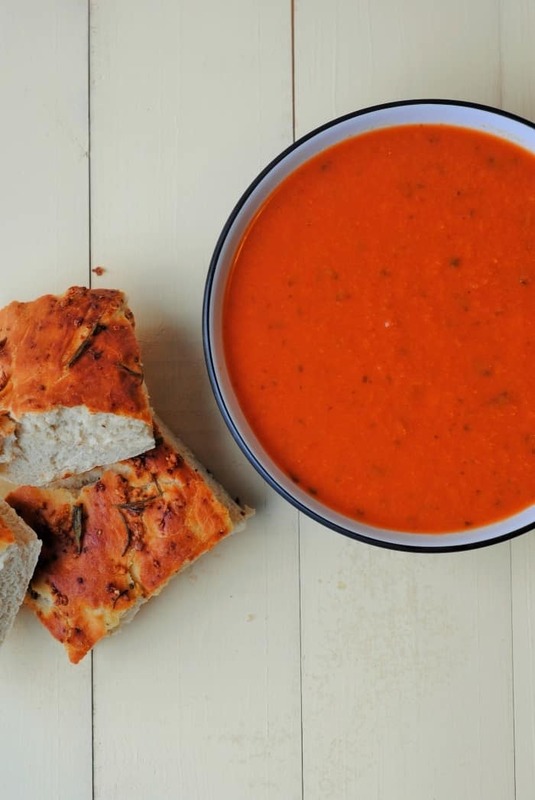 I love soup, but a light tomato soup isn’t filling enough for me for a full meal, so I always make some bread to go along side it. Whilst homemade soup is often made in our house, there isn’t always time when a soup craving hits, so we always have some Glorious Soups in our fridge. Not only are they delicious, but the ingredients list makes me happy. They have less salt than most ready made soups, they are low in fat and have not artificial ingredients added. They also have a fantastic vegetarian and vegan range too. All of the delicious Glorious Soups have a travel theme to them, with flavours inspired by different destinations. If you love to travel, as much as you love to eat, then they currently have a great blogger competition* running where you can win a trip to Mumbai, staying in the Sun n Sand hotel on Juhu Beach, which is India’s first beach front hotel. All you have to do is write a post around one of the soups by November 20th and you can be in with a chance of winning. 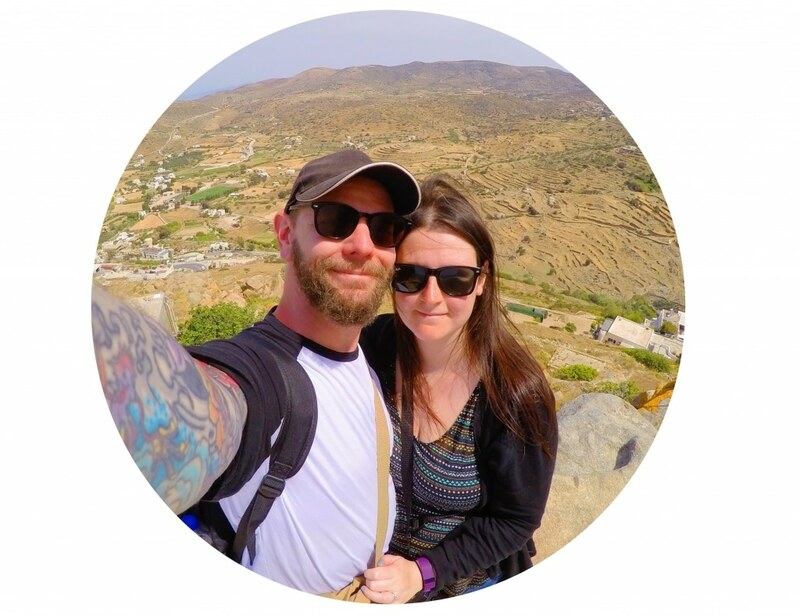 You can use the hashtag #GloriousAdventures to see other people’s entries too. Put the flour in a large bowl and make a well in the middle. Pour in the water and yeast mixture and add the sugar. Gradually pull flour from the sides of the bowl and mix well until you have formed a dough. Transfer the dough to a floured surface and knead for 5 minutes. Transfer to a bowl and cover with a damp towel and leave somewhere warm for an hour. Take the dough out of the bowl and punch down. Put in a 20x30cm baking tray and spread to fill the tray. Mix together the olive oil, garlic, rosemary and salt and pepper and spread over the bread and use your fingers to push in to the bread. Cover with the towel again and put in a warm place for 75 minutes. Push the garlic mixture in to the bread again. Put in a preheated over at 200C for 25 minutes. 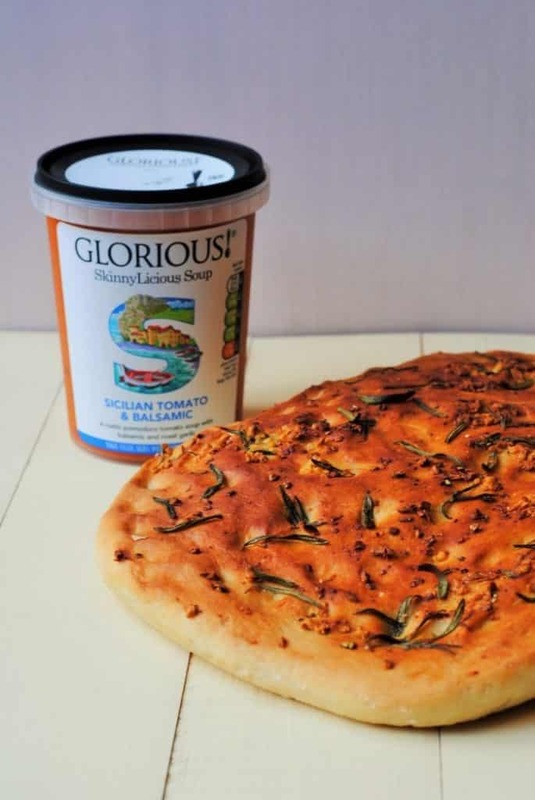 Want some other delicious accompaniments to Glorious soups? I still have not made my own bread! This recipe looks so perfect and easy I will have to try it! I love homemade bread! Like you said, it makes your house smell amazing! I love this with garlic and rosemary! Such a great flavor combination! 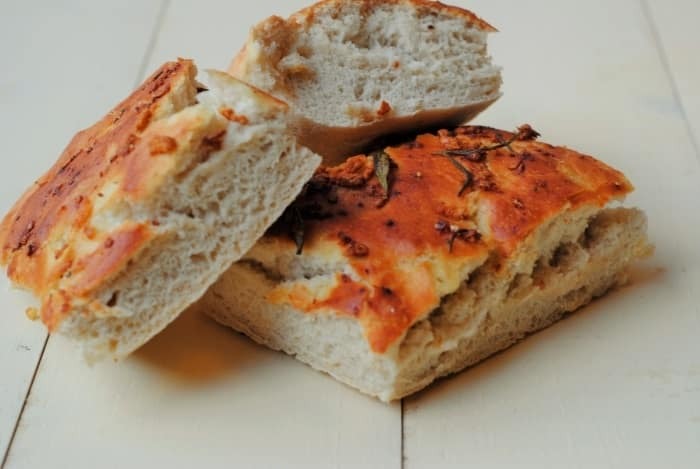 I haven’t made foccaccia in forever and I don’t know why. It’s so good! This looks like a great recipe – straightforward — I like that! It looks amazing!! It was great idea and photography also amazing. Thanks for sharing wonderful recipe with us. 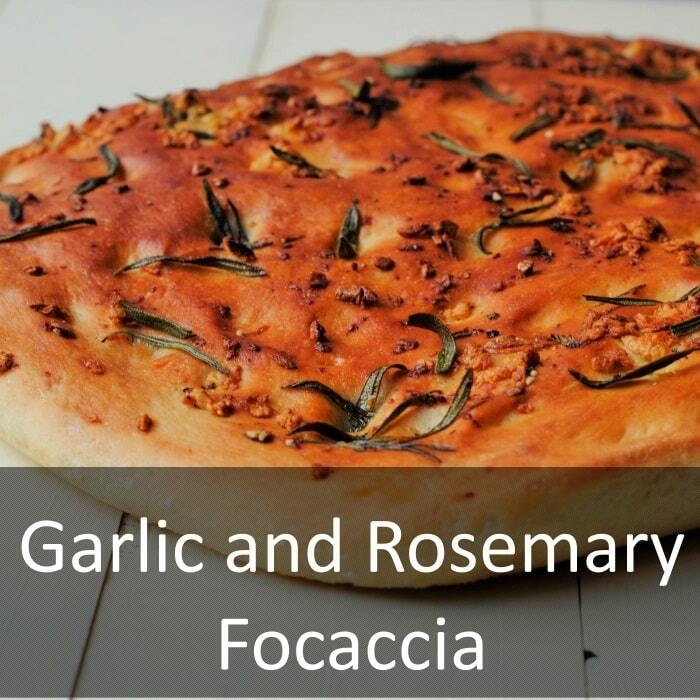 Love the flavors of rosemary and garlic combined! 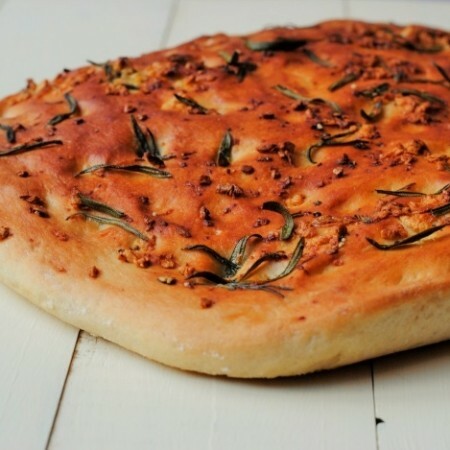 I have never tried a focaccia. I’ll have to give it a try! Thanks for the inspiration! That is one glorious looking bread Dannii. Love it! My favourite part of making focaccia is dimpling it at the end and drizzling with oil and herbs. Yum!